Maruti Vitara Brezza dominates utility vehicle segment in India! The Maruti Vitara Brezza has been dominating the utility vehicle segment in India. For the month of November 2018, this sub-compact SUV sold a total of 14, 378 units. This figure is way above its nearest competition and miles ahead of any other passenger utility vehicle currently on sale in our country. For reference, Vitara Brezza’s direct competitor and the one which comes nearest to it in its segment, the Tata Nexon, managed to sell just 4,224 units for the same month this year. Other competitors of this sub-compact SUV includes the likes of Honda WR-V, Ford EcoSport and the Mahindra TUV300. These UVs sold a total of 2,786, 2,724 and 992 units respectively for the month of November 2018. Going by these sales figures, you can clearly make out how clear-cut the dominance of the Vitara Brezza is over the sub-compact utility vehicle segment in India. The interesting thing to note here is that the Brezza has managed to pull similar sales figures month after month. And things become even more interesting when you consider the fact that unlike its competition, it is currently only available with a diesel engine in its portfolio. The demand for this SUV is such that even after almost three years since its launch, it attracts a waiting period which is more than a month’s time. 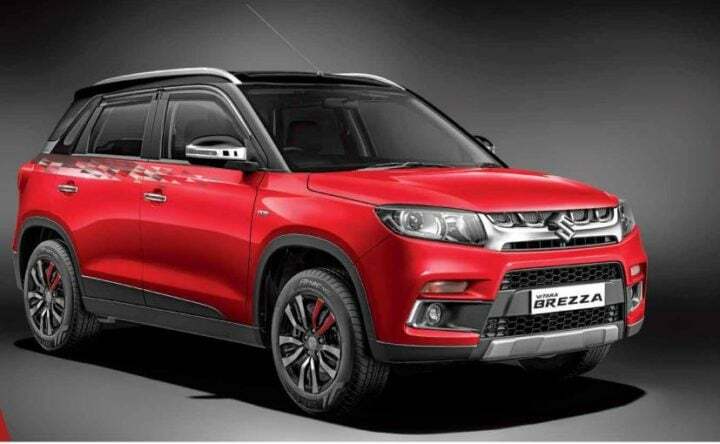 Maruti Suzuki recently announced an increase in production of the Vitara Brezza in order to clear the backlog and reduce the waiting period. It is not just its segment that the Vitara Brezza s ruling at the moment. If you were to compare its sales figures even with cars placed in other segments, you will find that the Vitara Brezza still has more numbers than any other utility vehicle currently on sale in our country. The Maruti Suzuki Vitara Brezza is currently available with a 1.3-litre, 4-cylinder DDiS diesel engine. This unit comes as standard with a 5-speed manual gearbox. Maruti also provides this sub-compact SUV with an option of a 5-speed AMT transmission. Prices for the Vitara Brezza currently fall in-between the range of INR 7.58 lakh to INR 10.55 lakh. The company is expected to provide this sub-compact SUV with its mid-life update sometime during the second half of 2019. Then, in addition to its altered exterior design, we expect it to come with a petrol engine added to its portfolio. Whether this engine is going to be a BS-VI complaint unit remains to be seen.